On behalf of Admin of JML Law, A Professional Law Corporation posted in wrongful death on Thursday, Aug 30 2018. When an employee dies during the scope of his or her employment, survivors are usually entitled to collect workers’ compensation death benefits. These benefits are calculated according to several factors including how many dependents the deceased had prior to death. But what happens when a third party’s (someone unrelated to the deceased’s employment) negligence or intentional act caused the death? 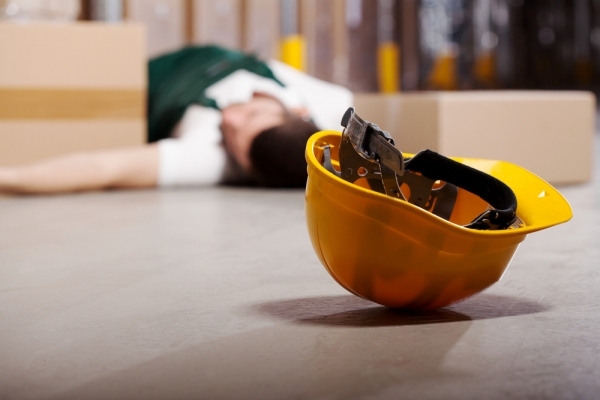 Don’t think that your only redress as a survivor is workers’ comp death benefits; you may also be entitled to bring a wrongful death claim against the third party. A wrongful death claim is very important for you and other survivors because it allows you more financial recovery than what is provided by workers’ comp death benefits. Let’s start with wrongful death. A wrongful death claim is brought when a person’s death is caused by someone else’s negligence or intentional act. As mentioned above, workers’ comp death benefits are available to survivors of an employee who died during the scope of his or her employment. Survivors don’t have to choose one claim or the other if both claims are available to them. For example, if during the scope of employment, an employee dies in a car accident caused by someone else who has no affiliation with the deceased’s employment (one of the most common wrongful death/work comp scenarios), survivors may collect death benefits and also file a wrongful death claim against the 3rd party for his/her negligence or intentional act. Who can recover in a California wrongful death case? California laws regarding who may collect and who may not collect depend on the deceased’s family and dependent situation which means that there is no, one size fits all, list of who may or may not file a wrongful death claim. Generally, a spouse, domestic partner, and children of the deceased may be eligible to file a claim as well as a putative spouse and children. In case you are wondering, a putative spouse means that although the marriage is legally void or voidable, the spouse believed in good faith that he or she was actually married to the deceased. Others that may have a claim, depending on the circumstances, are those who were financially dependent on the deceased and in some cases, those who would inherit from the deceased if there were no will. Economic damages available in wrongful death claims may include loss of the deceased’s future financial support, medical and funeral bills, loss of future gifts/benefits expected to be received, and loss of household services. Non-economic damages may include loss of companionship, comfort, care, assistance, protection, affection, society, moral support, sexual relations, and deceased’s training and guidance. You may be interested to know that punitive damages are not part of the recovery in wrongful death actions. In some cases, punitive damages may be collected under a survival action, which is a separate claim, but often brought with a wrongful death claim. Losing a loved one is an extremely difficult and emotional experience. It can also be overwhelming and confusing when the death is caused by someone else’s negligence or intentional act. Call our Los Angeles wrongful death attorneys at JML Law to help you better understand your legal options. We will work to get you the compensation your loved one would have wanted you to receive.